The Nike Air Span II Men's Shoe features a textile construction with synthetic leather overlays, plus a Max Air unit for lightweight cushioning. 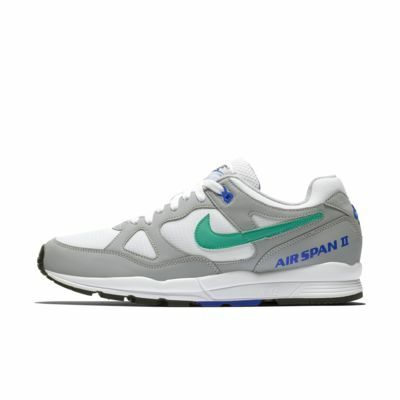 The Nike Air Span II Men&apos;s Shoe features a textile construction with synthetic leather overlays, plus a Max Air unit for lightweight cushioning. Received the shoes but they run kind of small. I’m going to try and see if it loosens up with some time but i’d Suggest go another size up. the pictures dont do justice for these. super comfortable and looks great. its my new favorite shoe.